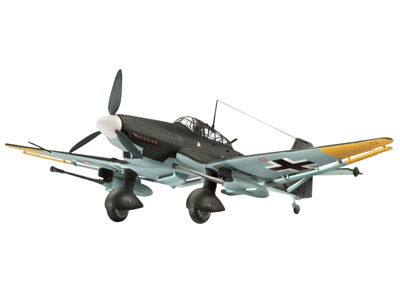 By the end of the first year of the war the German Luftwaffe command must already have known that the Junkers Ju 87B was not longer capable of meeting the requirements in many respects. The gradual improvement in the ground defences and the increasing use combat aircraft during the war led to the transformation of the Ju 87 into a fighter-bomber. The D version received a more powerful engine, new aerodynamic fairing and stronger armour. Its new role was now primarily that of ground attack, including anti-tank warfare with a 37 mm cannon. In the spring of 1944 the work of converting the Ju 87 D-3 into tank destroyer types G-1 and G-2 finally began.